A fingerprint resistant stainless steel bin with large 40L capacity. Unique square and compact footprint. Smooth press top operation facilitates easy open and close actions. 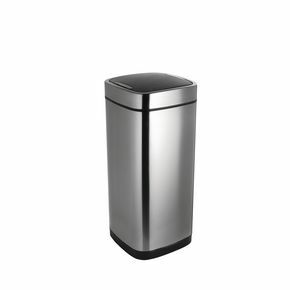 Removable inner bucket conceals bin liners and odours. Takes standard bin liners without any messy overhang.